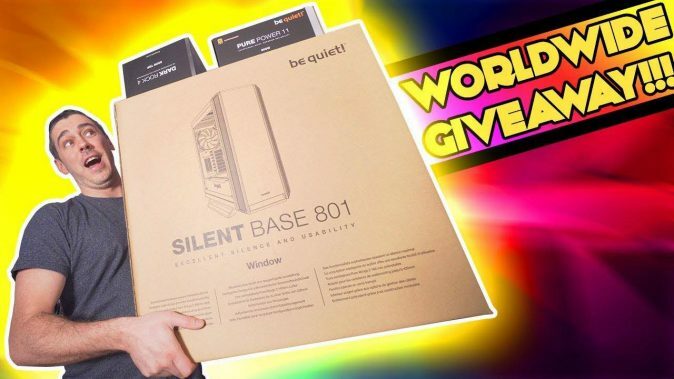 eTeknix has teamed up with Be Quiet! to gift one of their fans with a bundle of PC parts! To enter in this UPGRADE Your PC With Be Quiet! Giveaway grab your free entries by following few simple steps listed down below! The front, top and sides are equipped with extra thick dampening mats of 10mm, resulting in maximum stability and superb noise-dampening capabilities. The decoupled PSU bracket, motherboard tray and HDD cages also minimize vibrations. The full metal body provides stability for the case and improves its haptic. Upon closing a single ‘system bundle’ winner will be selected at random and will be contacted by e-mail, from there they will have 7 days to respond and if they do not reply, another winner may be picked at random.